I was having trouble getting used to the names of the characters the first few pages but don't worry because it'll be explained later on (I just wish they'd explain the name earlier to avoid any confusion). And I just wanted to say this first: if you're not really a fan of high fantasy then you may feel that this book is a little bit slow in the beginning. You know, it takes time to introduce a new world (landscape, custom and culture and the history) but the story will kick in real soon so just be patient. And if you are a fan of HF then just sit back and enjoy as the world is forming before your eyes =D Oh Did I mention that this book comes with a map? In general, the world building is fantasy, the only side down is that it is indeed a slow build. 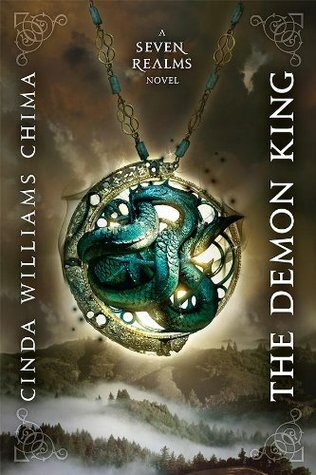 As a conclusion, I absolutely loved The Demon King. It's one of the best high fantasy and it's climbed up to be one of my favorite reads this year. So if you are in the hunt for some adventures or want to escape to a fantasy world, well friends you've come to the right place. Besides if you're new to high fantasy then check this book out because it'll make you fall in love with fantasy. PS: Look at the cover, such a stunning cover don't you agree? I have a box set and I really love the matching covers. Absolutely beautiful!!! !